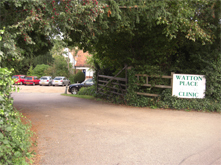 Heathcare within the village is currently centred at the Watton Place Clinic, which is located adjacent to the "Pump" located in the High Street. 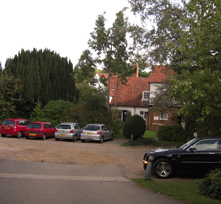 Watton Place Clinic is home to the local Doctors' Practice, although a Dental Practice is also located within the same building. The clinic is open Monday to Friday from 0830 to 1830, with the exception of Wednesday when we close at 1300. You can make appointments to see a Doctor by phone on 01920 830232, or by visiting our Receptionist. Appointment lines are open from 0830 until 1830, except on Wednesday when they are open from 0830 until 1300. Antenatal Clinics are held here in Watton-at-Stone on alternate Thursday afternoons. If you wish to speak to the Midwife, you can leave non-urgent messages here at Watton Place Clinic. If you are a carer who looks after a relative, neighbour or friend, please register at Reception so we can offer you flexible	appointments, free flu jabs, NHS health checks and a referral to Carers in Herts. They are able to offer you more, including a discount card, an assessment for you, and carers passport, they can also help with respite care and benefits advice. Please visit Reception for more information. If you would like to become involved in our Patient Participation Group please let Reception know.